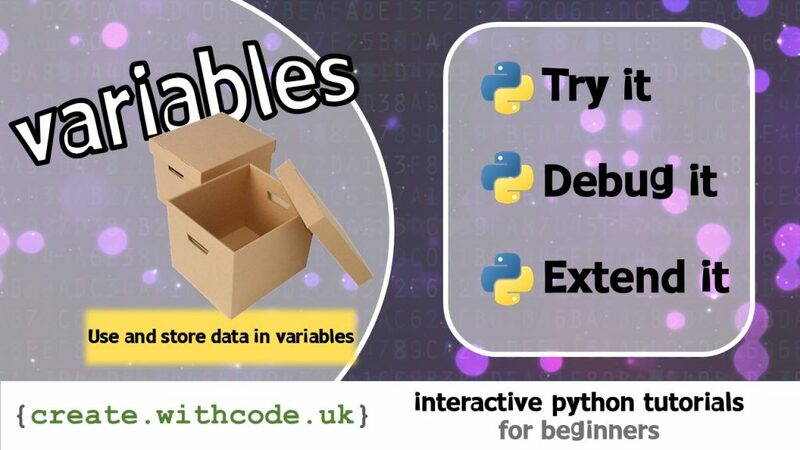 This activity is designed to help you learn how to use python to write a program that uses and stores data in variables. As well as learning how to debug syntax errors, so far we’ve looked at how to do input and output in python. The next step is to learn how to store the data that’s been input and use it as part of the output. That’s where variables come in handy.